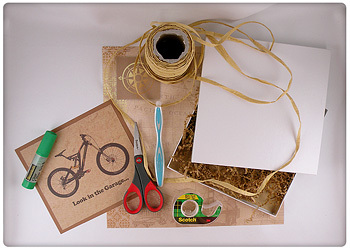 How to save money and use fewer supplies to wrap your holiday gifts. By using less wrapping paper supplies, making packaging part of the gift and reusing household items to wrap gifts, not only are you saving money but helping our environment by using less of our planet’s valuable resources. Wrap only the top of a box with a lid then decorate. By wrapping only the top of the box, you use fewer supplies but also make this a reusable, pre-wrapped box. One of my signature designing techniques is layering beautiful scrapbooking paper over inexpensive wrapping paper. I just cut the strip of the paper the entire length and 2 inches smaller than the width of the top of the wrapped box and attach it with double-sided tape to make a beautiful gift. Scrapbooking paper can be found on sale for as little as 6 sheets for $1 and go very far because use a small strip for each gift. 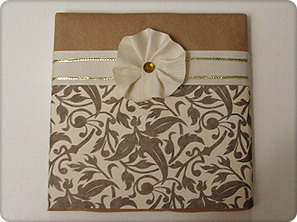 The combination of the scrapbooking paper and wrapping paper looks so beautiful; sometimes you don’t even need a bow. Purchase a bunch of large holiday flowers when they are on sale from your local craft store. 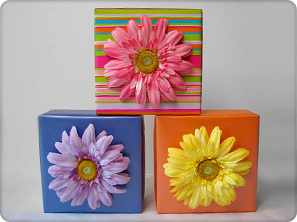 Wrap a box in plain paper and glue the flower to the center of the box to create a simple and beautiful gift. For large items, rather than use an entire roll of paper to wrap the gift. 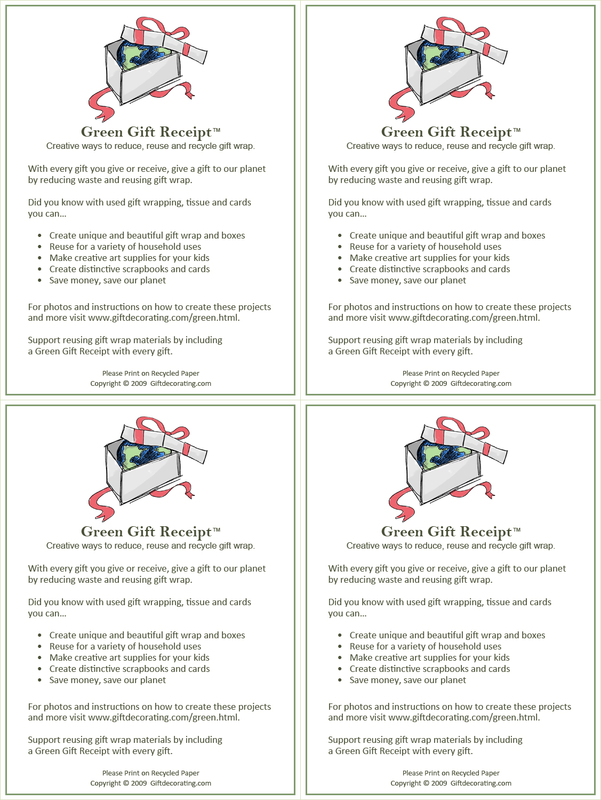 Print out the picture of the gift on nice cardstock along with the gift’s secret location. 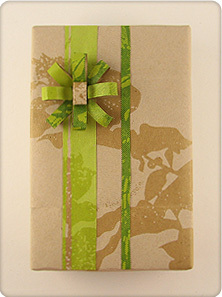 Place the card in a small box and wrap it as if it is the gift. Wrap a box in decorative paper, print out a fun holiday picture of the recipient of the gift and attach it to the center front of the box using double-sided tape. This will not only dress up the gift, but will eliminate the need for a gift tag. Forget the bow! Bows use a lot of ribbon which is expensive and wasteful. Instead, find nice accents to embellish the top such as ornaments or figurines. Use magazine cutouts to make a collage on the top of a gift. Magazines have beautiful colors and pictures. 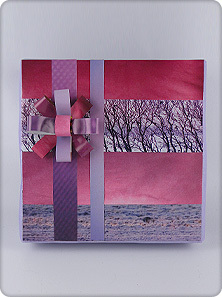 Personalize the gift by choosing images or words that reflect the personality of the recipient. Decorative reusable tote bags can be used as a gift bag. Add some holiday accents and you have environmentally friendly, reusable gift bag. Use decorative planters to place a gift in and add tissue or shredded paper as you would with a gift bag to dress up the planter. Find inexpensive holiday napkins and napkin rings to wrap around the gift and use the napkin rings to secure the ends. Purchase decorative tea cups and plant herb in the cups to give to a person who loves to cook. You can also use a decorative mug to hold the gift and add some shredded paper for an accent. Whip up a batch of your favorite cookies. Buy inexpensive tins and decorate the top with a holiday theme or print out the recipe on decorative paper and attach it to the top as a useful decoration. Food items can be given in a nice dish or bowl that would double as part of the gift as well as the wrapping. Inexpensive mismatch and beautiful dishes can be purchased at discount home stores. For example if you are giving candy, you can put it in a nice candy dish and embellish it with a bow. 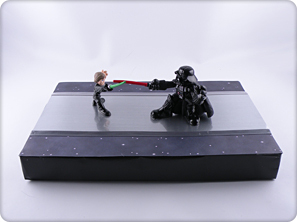 Find inexpensive small holiday figurines or toys to attach to the top of the box as an accent. An example would be to purchase a Santa and sleigh figure. Wrap a box in red wrapping. Add a layer of fake snow and attach the figure to the top. Find or make beautiful but inexpensive holiday stockings and use the stocking as the gift bag. Cut open colorful holiday shopping bags to use as wrapping paper. Holiday bags usually have beautiful seasonal colors and designs. Old holiday ornaments and garland can be used instead of bows to add dimension to the gift. Strips of colorful paper cut from magazines, calendars or shopping bags can be used to dress up plain wrapping paper by making paper ribbon strips, flowers and bows. Wrap colorful leftover yarn 5 or 6 times around a wrapped gift instead of ribbon to create a nice display. Embellish gifts with old costume jewelry. 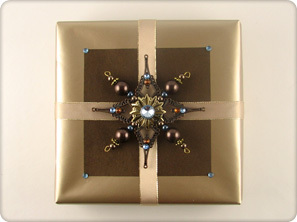 Inexpensive pins, broaches or single earrings can be used to accent ribbon instead of using a bow. 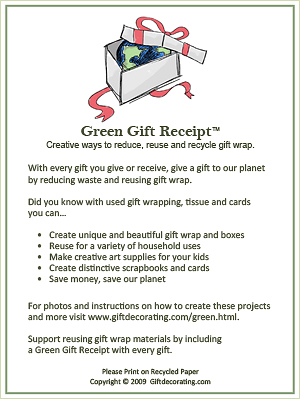 Click here to download a printable Green Gift Receipt to encourage reducing and reusing gift wrapping materials during and after the holidays. Please print on recycled paper.